These kids love the water. Put them in a pool or spa and they are just about as happy as two kids can be. 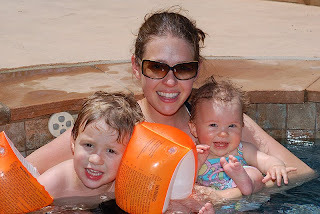 And get them down to San Diego with their grandparents in their pool... it's a recipe for pure happiness!